There are way too many efforts made for lead-generation that are only focusing on potential customers who are ready to sign up for your service or buy products. They are totally missing out on a huge field of potential customers who might just need a small shove or more information to convert them into qualified leads. Reach more qualified leads earlier on in the buyer's journey through persona-driven keyword optimized content. Promote brand awareness effectively through organic social and web search optimization. Direct your prospects to take action through paid ad platforms. Transform qualified leads into real customers through follow-up engagement and emails. By using this approach, your audience will already be familiar with your brand long before ever making the decision to sign up with you. Your thoughtful leadership will create a long-lasting impact on them while they are researching solutions for their needs. As they move closer to making a final decision, they will probably choose you over your competitor because they already have been exposed to the benefits you can offer. In a nutshell, you are introducing your brand from the very beginning and then instilling trust in your business that will last long after the first sale. Think of your website as a huge net for catching leads. Obviously, it makes no sense to drive traffic to your site if they will never convert into leads or visitors will look around and then not take any action. We will prepare a Conversion Rate Optimization Report that highlights website changes that are necessary to get visitors to take action and contact you. This information is critical to your campaign's success. Once changes are in place, you can move forward knowing your website is ready to maximize conversions. Social media, sponsored content, boosted posts, SERP placement, SEO, SEM, CPC, PPC, CPM, re-targeting, re-marketing, press releases, redistribution, etc. So how do you choose the best channels for you? Paid channels are perfect for targeting customers with specific niche criteria. Results will show up quickly and ROI is easy to measure. The best-paid channel campaigns require a thorough strategy, a keen eye, and a passion for details. We will create a persona-driven paid advertising strategy for you. 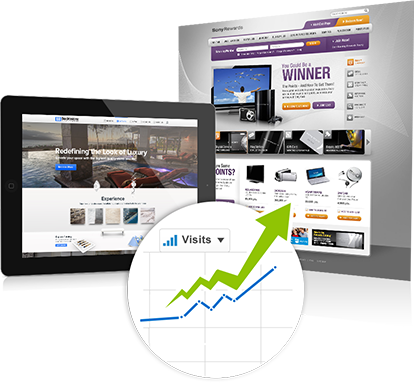 We will implement, manage, and optimize your campaign to increase your conversions.